Take a tour of this Oradell, NJ backyard with Mike Todé of Todé Landscape Contractors. This property required renovation and rebuilding of existing stone walls and beautification of the entire backyard and poolscape. 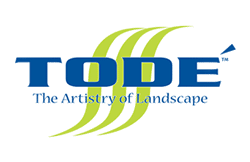 See how Todé – The Artistry of Landscape has transformed this Bergen County home’s landscape and created what Mike Tode calls a “Living Masterpiece”.